These days every traveller, no matter how inexperienced, has the ability to find their own accommodation. Travel agents, at least in this regard, are completely obselete. It doesn’t matter if you’re booking six months in advance, the day before your flight, or simply showing up unannounced – you can find everything you need with a few clicks of a mouse. When I book flights I almost always take the cheapest option, however accommodation is a little different. 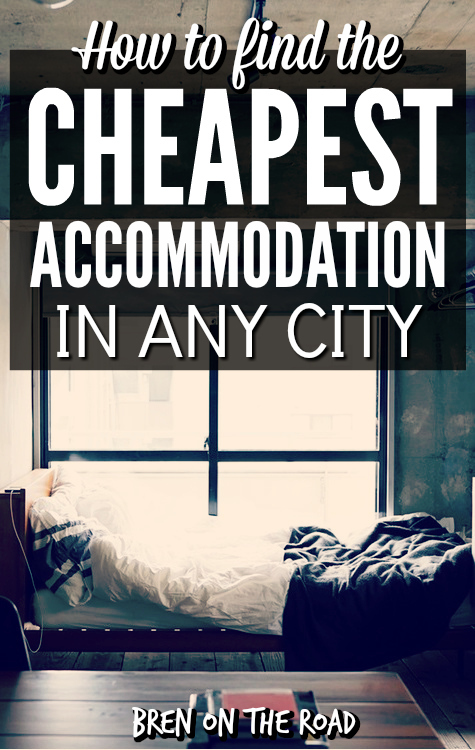 Cheap accommodation is great, but you need to make sure you’re getting the right accommodation for you. Some people will need something close to the airport. Some people will need lightning fast wifi. Some people need a gym. How do you get exactly what you’re looking for, at the best possible price? In this guide we’ll talk about my favourite resources and how to best use them when looking for a new bed. Agoda is a hotel aggregator site which also include hostels and guesthouses, and is my favourite booking site. It has a huge selection of places worldwide and in my experience you’ll often get cheaper prices than anywhere else. When planning your trip check the site every day. The prices change often, and last minute deals pop up all the time. I’ve had up to 20-30% off just by waiting until the day before my stay to book. If you miss out, don’t worry – there’s plenty of other hotels to choose from. When you book through Agoda, make sure you sign up for an account. Agoda will give you loyalty points for every night’s stay. It’s not the best program (it will cost you around $625 in bookings before you get $25 in rewards) but it doesn’t hurt to rack the points up if you’re making bookings anyway. You can visit Agoda and start searching for your next stay by clicking here. Booking.com is my backup choice. In the rare event that I can’t find what I’m looking for on Agoda, I’ll take a look at Booking.com and see if I missed anything. With Booking.com you usually pay no deposit, and instead you clear your entire bill at the accommodation. A good site to keep as backup in your bookmarks. Don’t want to pay for accommodation? Couchsurfing is your friend. Couchsurfing is a community of travellers, who either identify as surfers, hosts or both. A host is someone who offers travellers a couch to sleep on for free, and a surfer is someone who sleeps on a couch for free. It’s a very simple process – you log onto Couchsurfing, look at a bunch of hosts and then message the ones you think you’ll get along with. They’ll either accept or deny your request – if they accept, you show up to their house once you land and sleep on their couch for a few days. It’s also assumed that they’ll show you around the city and make sure you have a pleasant stay. Once you leave, you will write a public reference for the host on their profile, which can be either positive or negative. This will allow future surfers to see if the host is reputable or not before deciding to stay with them. 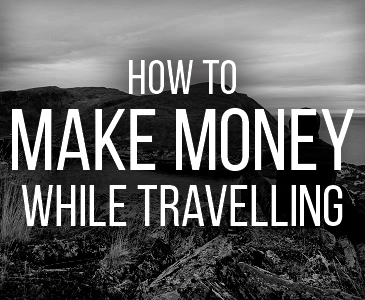 Remember, there’s no money involved; it’s based on a goodwill system of travellers helping out other travellers. Try and stay with well-referenced hosts. This is especially so if you’re travelling solo and doubly so if you’re female. It’s not hard to find hosts that have 10+ positive references in almost every major city, so there’s no reason to stay with someone who doesn’t look 100% safe. There’s no need to be paranoid, just exercise basic common sense. Couchsurfing is a very safe and close community, but of course there are always gaps. While you’re allowed to stay for free (Couchsurfing rules explicitly say hosts are not allowed to charge surfers), common Couchsurfing etiquette is that the surfer gives back in some way. “Free accommodation” isn’t really a good description. “Hospitality exchange” is a better one, and the exchange part goes both ways. There are many ways for surfers to contribute their part of their exchange; one of the most popular is cooking a meal, ideally something from your home country. You can also leave a souvenir, help around the house with something etc. It’s up to you. If you’re unsure about a host, look at the references on their profile and then send a message to their past guests. I’ve had quite a few people message me asking about hosts I’ve stayed with and if I had a pleasant stay or not. This is a really easy way to do a “background check” on your host and give you some peace of mind. Some people have been known to set up fake references for themselves, although I things like this are rare. Small hotels, guesthouses, and family run B&B’s simply cannot afford to be on Agoda or any of those big websites. Where you will find them is on TripAdvisor. This is perfect, because they’ll have reviews from past guests and you’ll be able to sort through them by review score to find the best one. I’ve found it to be a great resource for lesser travelled countries, especially in Africa. Another good resource to find such accommodation is on Wikitravel. Accuracy of reviews is far lower on TripAdvisor than it is on Agoda or Booking.com. Many owners of these guesthouses ask their friends, family and preferred guests to write reviews for them, meaning 5 star reviews are easy to come by. By contrast on Agoda, only guests that have actually paid for a night at the hotel can write a review for it, meaning reviews are mostly honest and accurate. Negotiate! Small accommodations on TripAdvisor will normally point you to their website, where they will have rack rates that are inflated somewhat. Send them emails and bargain them down, and drop subtle hints that you’re looking at other guesthouses in the area. 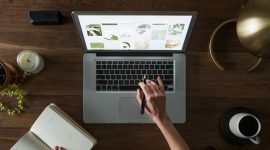 You’ll often be emailing directly with the owner, rather than a hotel receptionist who couldn’t care less about whether you stay or not, so your chances of getting a discount are good. When staying somewhere longer term (2 weeks+) I like to look for an apartment. AirBnB is the industry favourite right now. This is a sharing economy website where local people list their rooms/apartments for rent. This makes it possible to rent regular apartments for just a few days in a foreign city, which is really convenient and a lot more comfortable/interesting than a hotel. Prices are decent and this can be a great option for cities where hotels are known to be expensive (e.g. Hong Kong, Tokyo). You can also try Wimdu, Roomorama and Flipkey. For a more in-depth breakdown of Airbnb tips, check out my article here. If you’re new to Airbnb, you can also get $25 of free credit using this link. 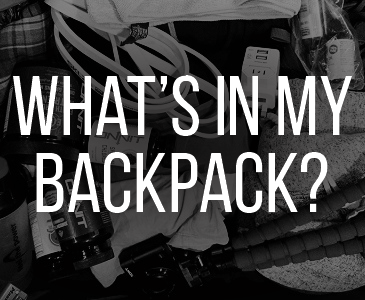 Depending on where you’re going, transport has the ability to really dent your wallet. For example, in my hometown of Auckland, even public transport will cost you between $3-$5 to get into town and a taxi will cost you around $10 just for a 5 minute ride. At those prices, staying in the wrong part of town can really end up hurting your wallet. Before you book your accommodation, decide what you’re likely to do in the city. Are you going for the nightlife? Stay close to the bars and clubs. Beach? Stay within walking distance. Just overnighting? Stay near the airport. Almost every website above has a map function. Use it! If you are going to stay in a hotel, don’t pay the rack rate. The rack rate is always inflated. I don’t know why they do this but they just do. The websites above will be cheaper than rack rates most of the time. There’s been several times where I’ve wanted to extend my stay and reception will only allow me to do it for the rack rate. I’ve literally stood at reception and booked extra nights on Agoda, and then waited for it to come through their system so she can add it to my room. Sounds silly but it happens. If you’re staying more than a week you should have a good chance of negotiating a better rate. This has worked best for me with little hotels and guesthouses, but I’ve heard of people having success with this at big hotel chains too. With smaller places, it helps if you have the money on you and/or offer to pay in advance. When you flash a big stack of cash it can be hard for the owner to turn it down. Why does this happen? I’m not quite sure. I’ve noticed it often happens when I check in very late, presumably because at this time they know what their occupancy is for the night and what rooms they can give away for free. Also, I notice it happens when reception isn’t busy, probably because the hotel is half empty and they have a lot of spare rooms. Book the less popular hotels and new hotels, as they’re usually not as busy as the popular chains. But really, just be nice. The people at reception have the power to give free upgrades, so if they like you you’ll probably get one. One last tip. Before you book, make sure you check the website of the actual hostel/hotel. To do this, simply Google the hotel’s name and their direct website should come up. Sometimes (but rarely) the price will be cheaper if you book direct. Let’s go for two nights on April 1-3. The process is pretty simple, just search on each of the booking sites and see who is the cheapest. Notice the small print that I’ve circled in red. Make sure you check that it in fact includes all taxes and service charges. Depending on the place you can get quite favourable responses doing this. So the decision here is pretty easy: book with Agoda (unless they offer you a cheaper rate via email). 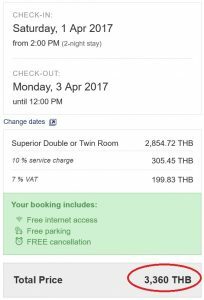 You’ll get the cheapest price and also the Agoda reward points to put towards a free room later on. Also note you can continue to check as many hotel booking sites as you wish, but I generally stick with the ones listed above. There it is. 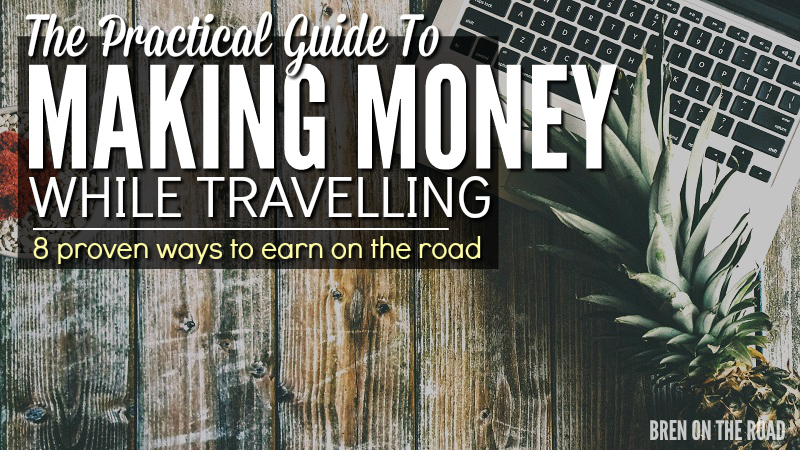 Hopefully this guide should be everything you need for finding accommodation on your next trip. If you’re looking for something a little more unconventional, you can also check out my post 16 Ways To Travel The World For Free. There are a lot of accommodation options available, many of them free, that will suit the more adventurous traveller. Room rates can fluctuate as quickly as minute to minute because a hotel’s inventory is always changing. It’s simple supply and demand: the more people booking rooms at a hotel, the more the hotel can charge. One thing I like to do if I’m flexible with my hotel choice is to book a cancelable rate. 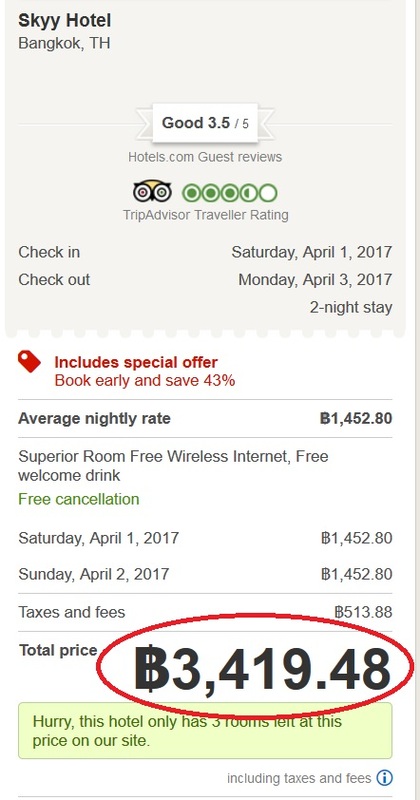 It should be fairly obvious which rates are actually cancelable; there’s usually a call-out that states something like “FREE cancellation – PAY LATER,” I’ll book this rate (I plead though – double and triple check that it’s actually cancelable) and then monitor the price, as well as prices of nearby, comparable hotels. It may take a little bit of extra legwork, but this tactic has saved me as much as $100 per night. This post is fun to read, Bren. Looking for a place to stay is truly an essential task for a traveler. Thanks Agness, hope all is well over there! 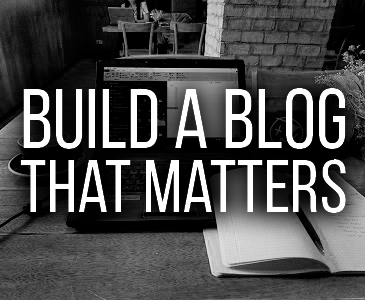 These are such good tips compared to a lot of blogs which are just “these are the websites I use”. I’ve had to do the same re: booking a room right in front of them because it’s cheaper than their own price! It’s really stupid because they’re paying a commission to that website, right? So if they offered the same price as the site (if you tell them you’re going to book it on there), surely they’d be saving money? Funnily enough I actually couchsurfed in Auckland and can vouch for your location is everything tip! We stayed with a wonderful host but I got a bit of a shock when the transport costs were going to add up to almost the price of a hostel haha! Yes that would be typical of Auckland! Our public transport is lacking (badly). I think when you end up with the hotel situation you (I) described, it’s because the staff member just doesn’t give a F. They have their job description and they just do it. If it were the owner you were talking to, he’d get you off that booking site in a heartbeat. I appreciate your advice to figure out what you will be doing in the city that you stay in so that you can be sure to find lodging near those places. My husband and I are planning a second honeymoon, so we are wondering how to find the best lodging to stay in. We will definitely have to find some accommodations that are near where the city center is at. 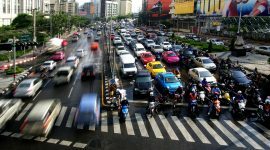 Do you still regularly use Agoda? This is some really good information about budget accommodations. It is good to know that you need to think about the location of the hotel. That does seem like it would make a huge difference on how budget friendly it will be.